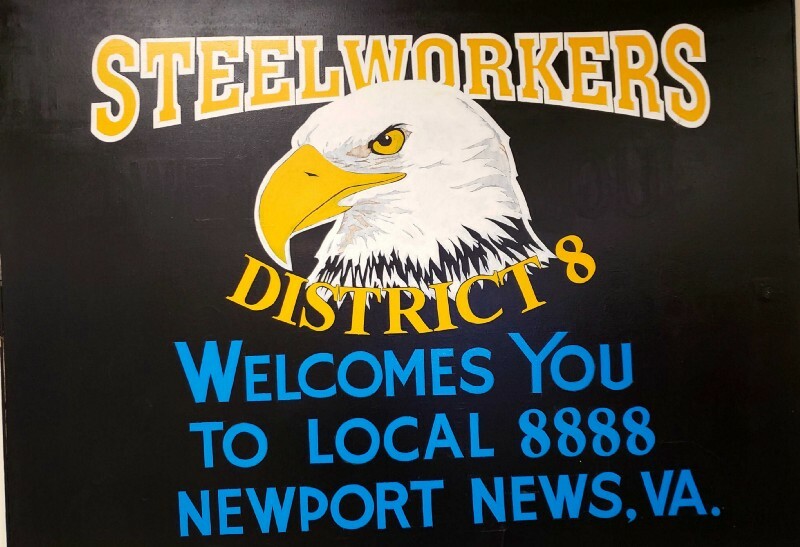 The DPVA held its first Quarterly Labor Council meeting yesterday at the United Steelworkers Local 8888 Union Hall in Newport News. 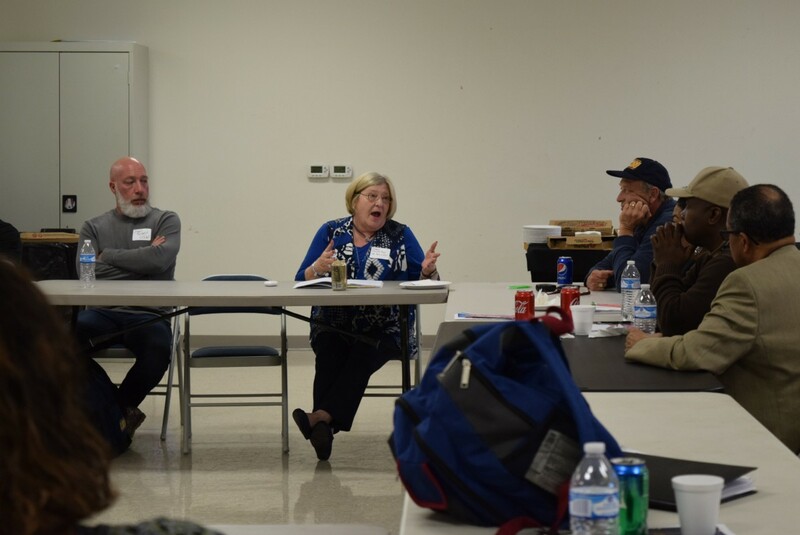 Labor Council meetings are opportunities for labor leaders and local representatives to build relationships with federal, state, and local elected officials from around Virginia. 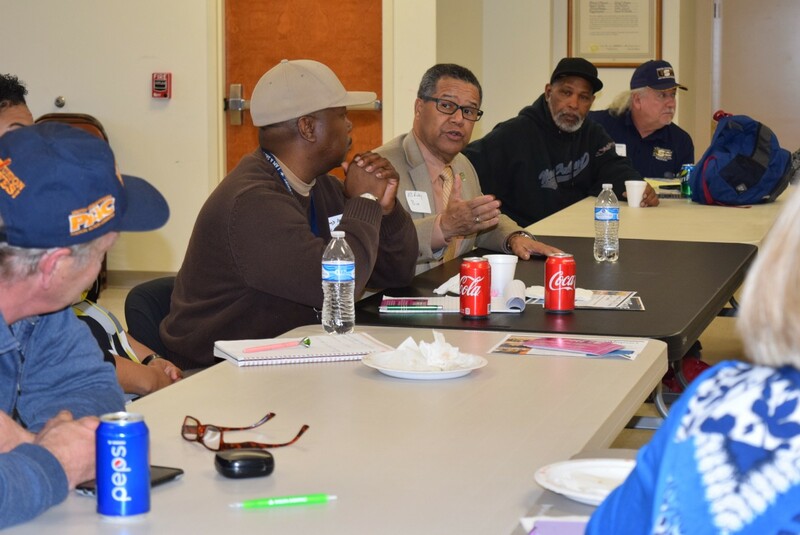 Yesterday’s meeting included a substantive discussion about the political power of organized labor and how to effectively advocate for change at all levels of government. 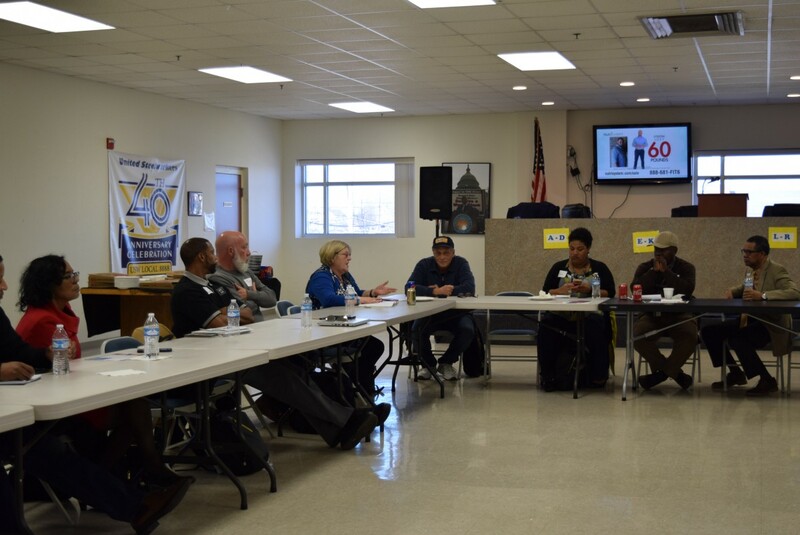 We would like to thank Delegate Jeion Ward, Delegate Marcia Price, Mayor McKinley Price, and Mohona Chowdhury from Rep. Luria’s team for attending, and Doris Crouse-Mays from the Virginia CFL-CIO for helping organize the Labor Council and Charles Spivey from USW Local 8888 for hosting us this quarter! DETAILS: Click here for tickets and details! Your sponsorship or ticket purchase will support efforts to flip the General Assembly in November! 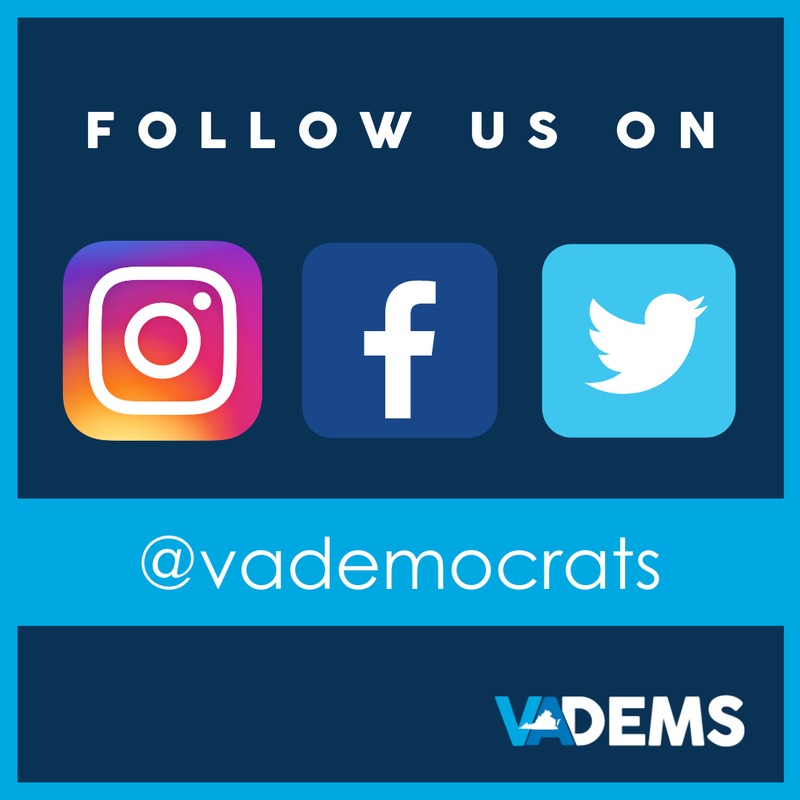 Please contact Justin Jones at justin@vademocrats.org (925) 895–4449. 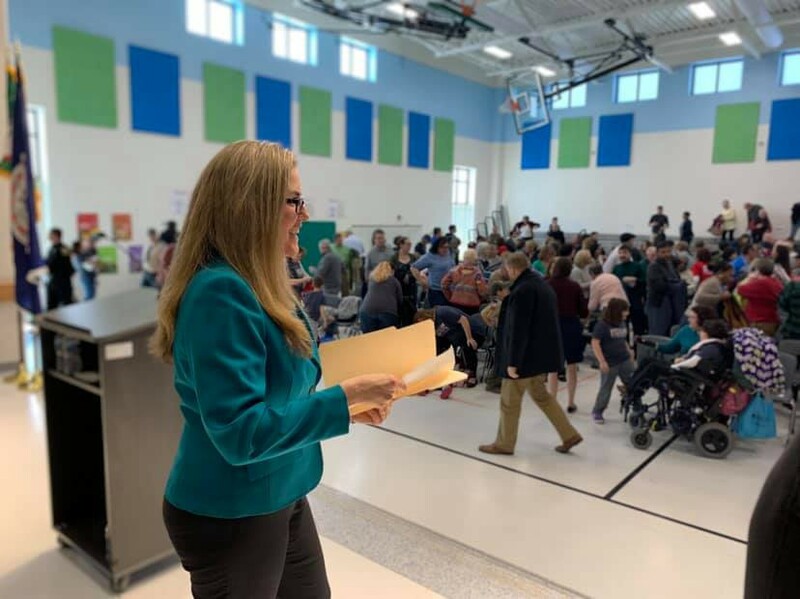 DPVA’s 2019 Pat Jennings Training in Blacksburg Registration is OPEN! Are you interested in running for local office? 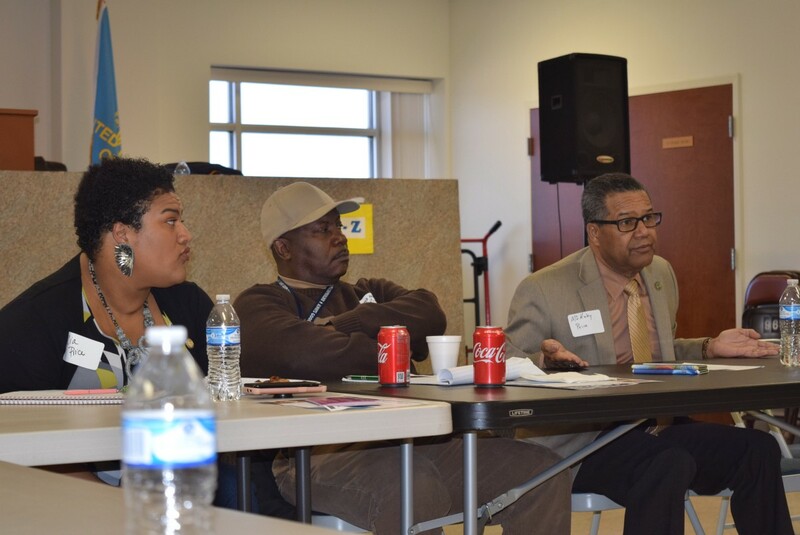 Do you want to attend a *FREE* day-long training in Blacksburg on April 6 to learn about communications, field, digital organizing, and VAN from the DPVA and NDTC? Then look no further! 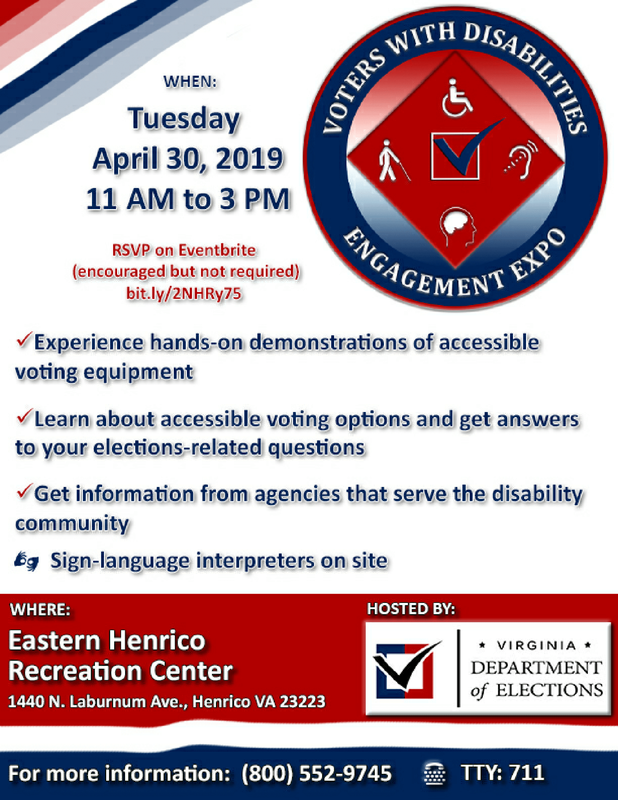 This is an amazing, and cost free opportunity, for people who are interested in running for office to learn about the many different facets of a strong campaign. 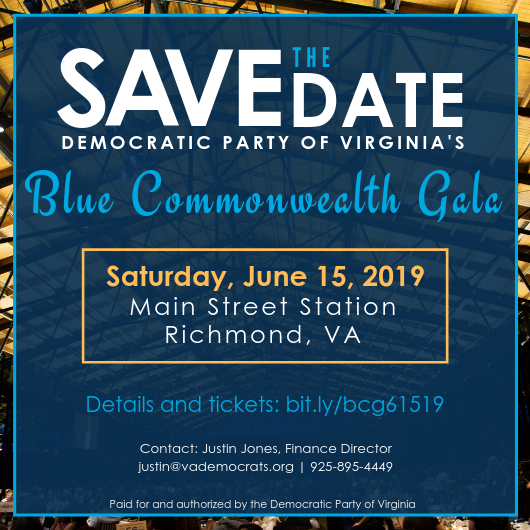 The Virginia House Democratic Caucus, Virginia Senate Democratic Caucus, and the Democratic Party of Virginia have teamed up with MobilizeAmerica to provide local and CD committees the event and volunteer management platform at no cost. MobilizeAmerica can help maximize your field and digital programs, all while saving you time and energy. Recruit more shifts: Mobilize allows you to customize an events feed with easy to share event links where volunteers can search and sign up for your campaign events. 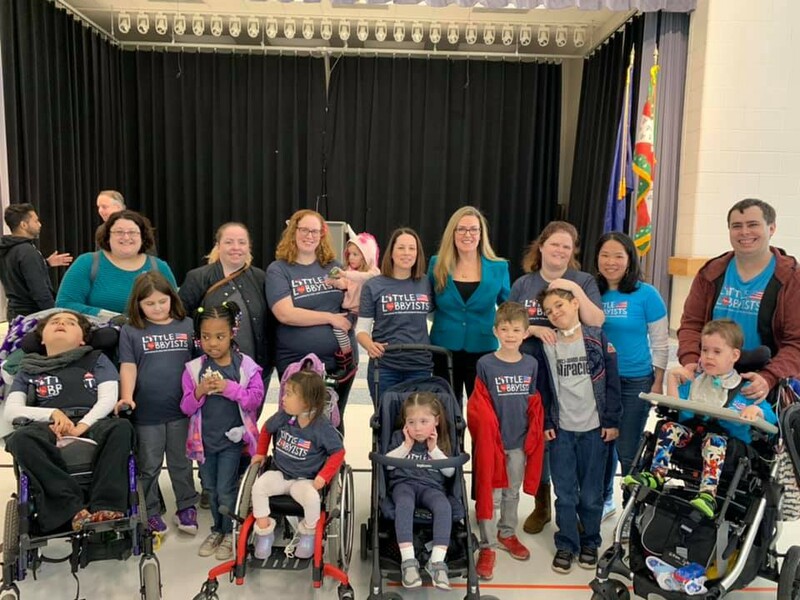 Collaborate: Hundreds of other progressive organizations around the country are using the MobilizeAmerica platform, and their volunteers are always looking for organizations to volunteer with. Our platform allows you to collaborate and connect with them to tap into new volunteer audiences every day. Automatic Confirmations: MobilizeAmerica sends out automated confirmation emails and SMS texts to volunteers registered for an event. On average campaigns using MobilizeAmerica see a 30% decrease in flake rate. Interested? Fill out this form and the MobilizeAmerica team will create your account, and will be in touch with next steps! We will also be holding a training on Thursday, March 14th with Mobilize staff to walk through how to use the Mobilize dashboard! 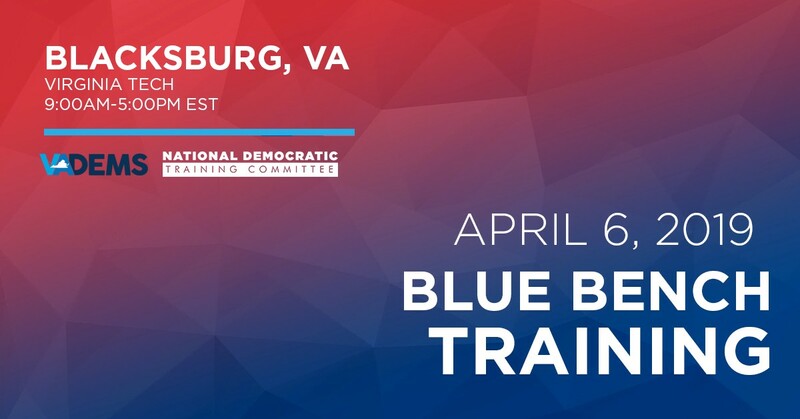 To sign up for the training, email katie@vademocrats.org. 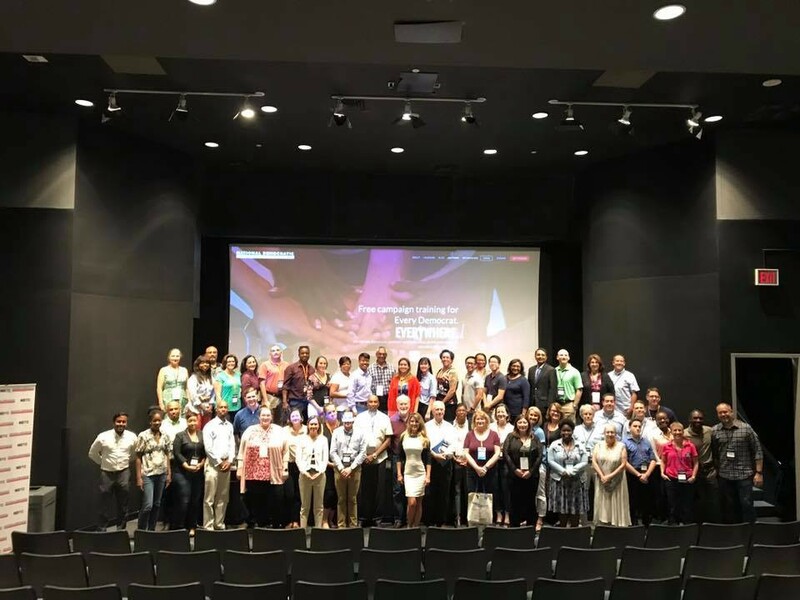 2019 Train the Trainer Program! 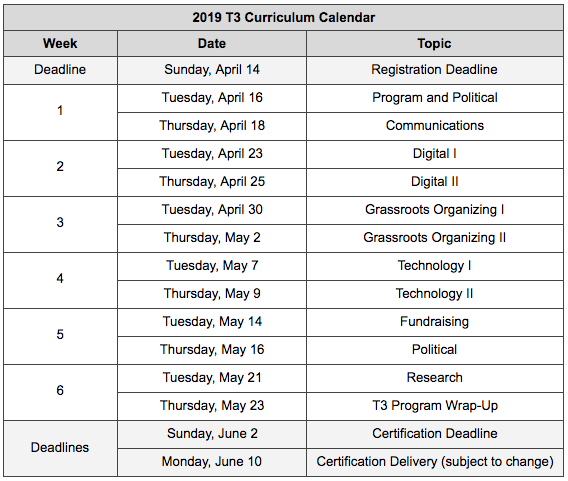 The Virginia Democratic Party, together with the DNC and ASDC Best Practices Institute, are excited to announce the launch of our 2019 Train the Trainer (T3) Webinar Training Program! In January, Americans across the country began seeing more Black women representing their interests on the national, state and local levels. These women — many newly elected or moving into higher office — are stepping into leadership at a time when our country is embroiled in troubling, frequently violent conflicts over national identity, civil and human rights, income inequality and opportunities. Still, they have boldly stepped off the sidelines in response to these challenges, and in doing so, they are walking in the leadership legacy of Shirley Chisholm, a true maverick who 50 years ago was sworn in, becoming the first Black woman elected to the U.S. Congress. Chisholm also entered office at a moment when our country was challenged by divisive ideologies and policies, but she refused to let these divisions detour her work to enact progressive policies that ensure civil and human rights and opportunities for all Americans. So, in honor of Chisholm’s legacy, Higher Heights is proud to present the Chisholm 50 Sisters to Watch List — a roundup highlighting 50 Black women whose elected leadership will help shape and advance America’s political agenda over the next two years. Here’s why they are sisters to watch. 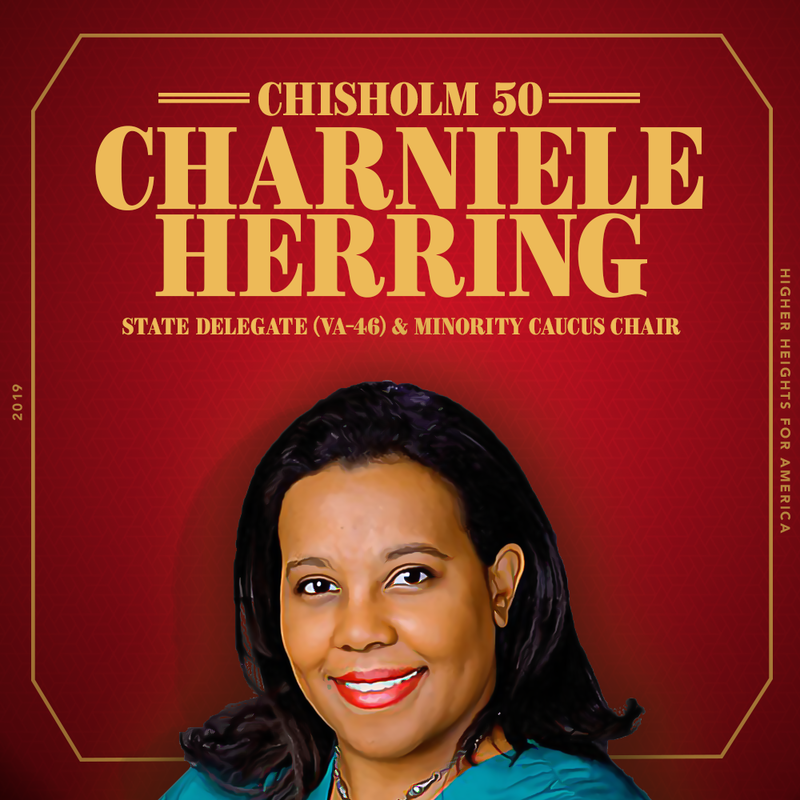 The National Organization for Women called Charniele Herring “heroic” for her work rallying fellow legislators to stand against limits on abortion access, & she’s passed legislation to restore homeless-services funding & support small businesses. She is the Minority Caucus Chair. See the full Chisholm 50 list here. 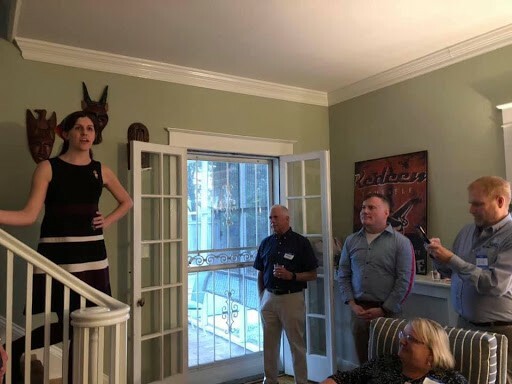 On March 14, guests gathered to participate in a meet-and-greet with Virginia’s 13th District House Delegate, Danica Roem. 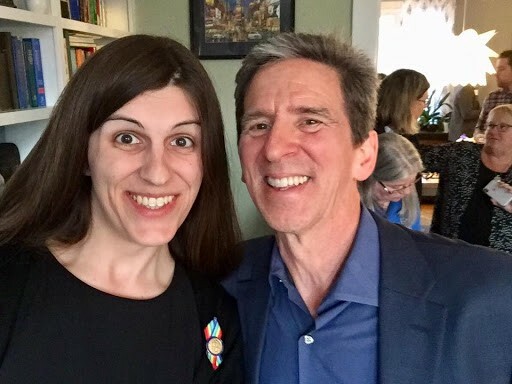 Delegate Roem is Virginia’s first openly transgender person elected to the General Assembly and the first openly transgender person to serve as a U.S. State Legislator. 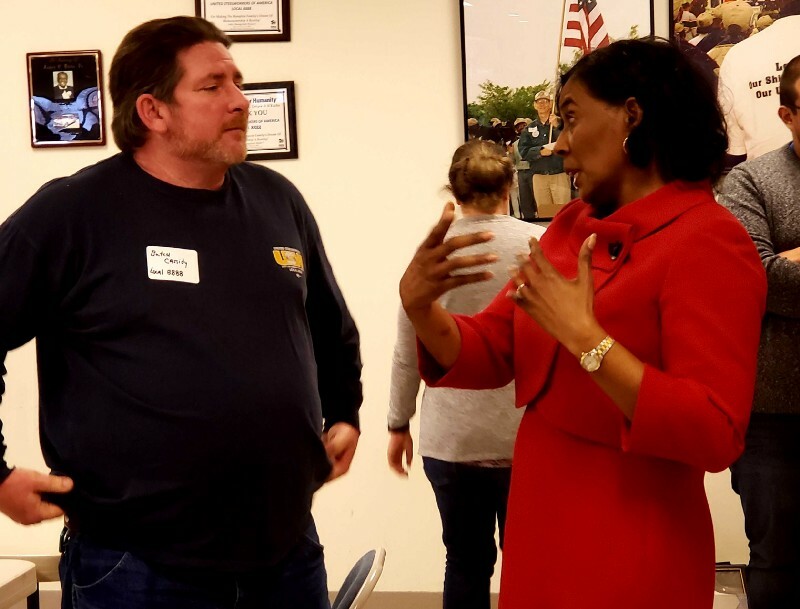 Attendees had a chance to meet and converse with the Delegate at the event, which was hosted by the LGBT Democrats of Virginia. 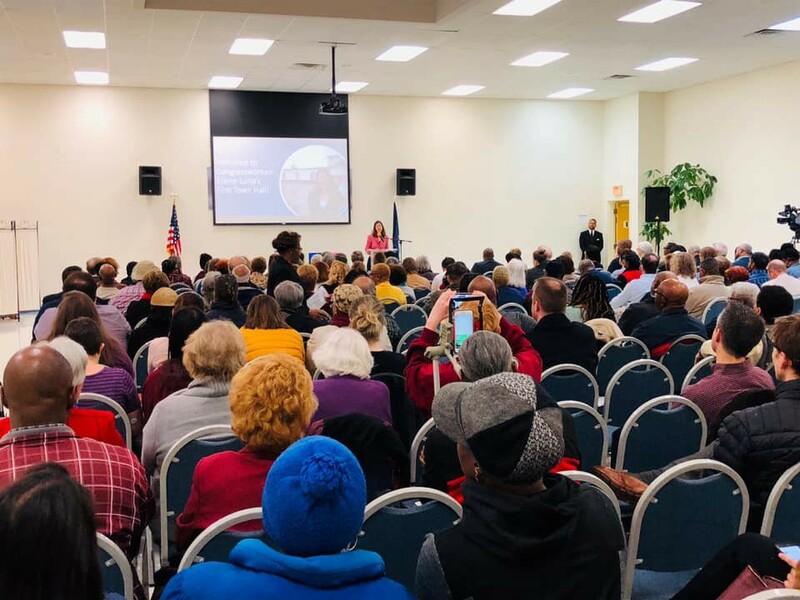 Congresswoman Luria was joined by 250 constituents at Ebenezer Baptist Church in Virginia Beach for a community conversation discussing what’s happening in Washington, information on how her office can help, and important issues before Congress. 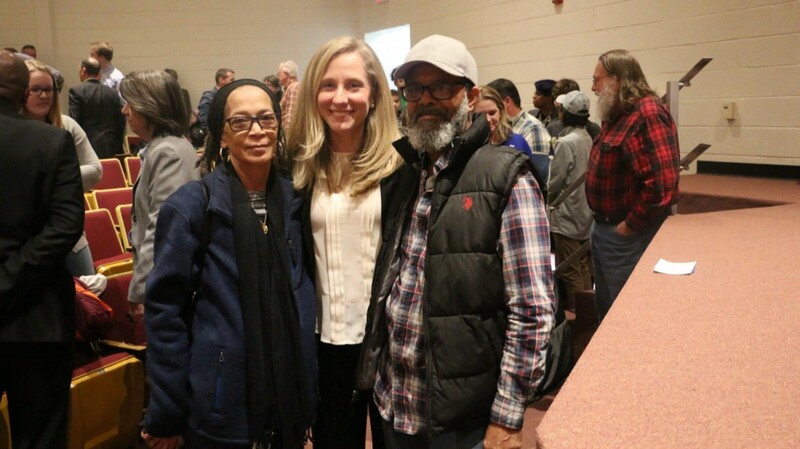 Tuesday night, Rep. Spanberger held a town hall meeting in Nottoway to hear directly from VA07 constituents. 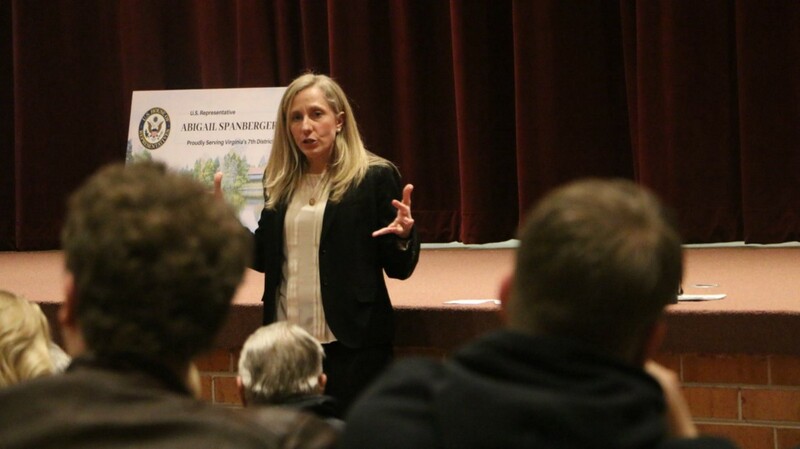 Rep. Spanberger has 7 more town hall meetings scheduled in the coming months. Check out her Facebook for updates on upcoming dates. 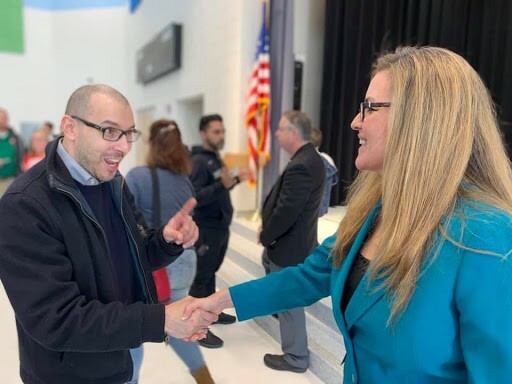 Did you miss Rep. Wexton’s (VA10) first townhall meeting? Find the recording with the link below! 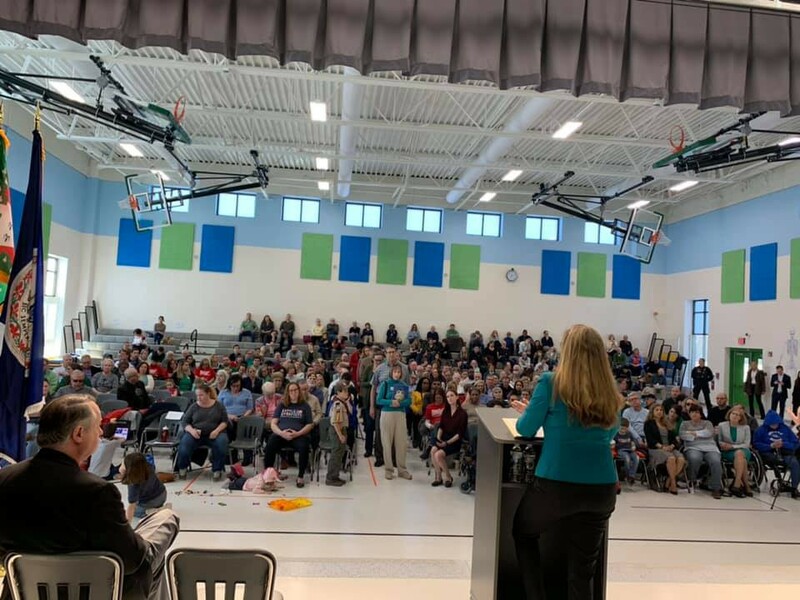 WASHINGTON — Rep. Elaine Luria of Virginia’s 2nd Congressional District is helping to cosponsor bipartisan legislation on that would increase accountability and oversight over private contractors providing housing for military families. 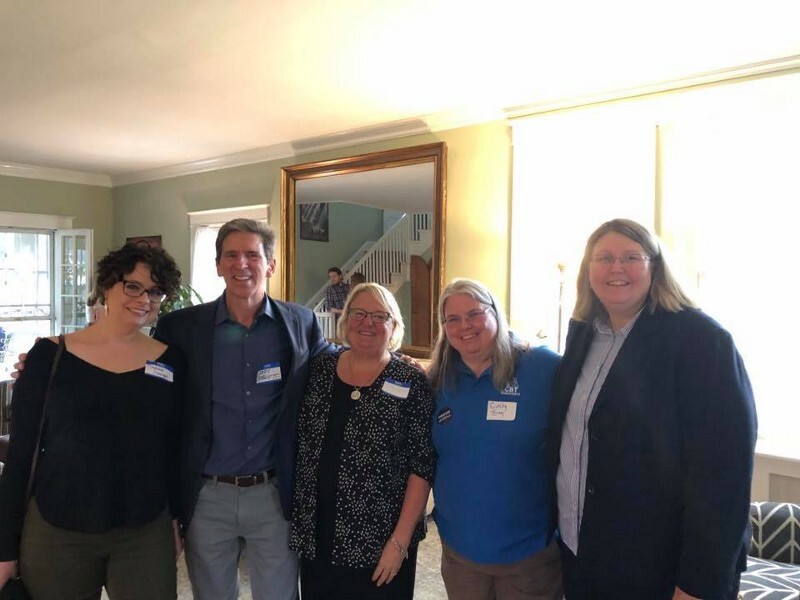 3/30 Hampton Roads Young Democrats Happy Hour!